In case you don’t already know, there is a large raft of great benefits available when you own a Hot Tub! Here we are taking a look at what they are and how to maintain yours at its optimum level for the best family fun, relaxation and therapeutic effects! It is a well-known fact that Hydrotherapy involves the use of water for both pain-relief and in the treatment of some types of illness. Indeed, the term ‘hydrotherapy’ originated in the 19th century, by various practitioners, who held that water was a potential ‘cure all’ for a host of ailments. Naturally, we think they were on to something! Nowadays, it is well known that water can soothe aching joints, helping those with illnesses such as Arthritis. After all, the original Spa was invented to treat the ailments of the family of the famous Jacuzzi brothers, nearly a century ago! Today’s hydrotherapy products are often used as an aid to de-stressing, unwinding and generally resting and relaxing both our bodies and minds. Hydrotherapy is utilised in many Hot Tubs too by the combination of both water and air, mixed and pumped together through cunningly designed jets, delivering a targeted and invigorating massage to those aching and ailing parts of our bodies! Hot tub jet designs can now allow a plethora of different swirling, pulsing, streaming or penetrating streams of water and air bubbles, providing deeply relaxing massages in the same way that many therapeutic techniques do. Many models will also provide adjustability in jet direction and can be turned on or off as desired enabling you to focus the massage effect to wherever you want it. How does Hydrotherapy work in a Hot Tub? This is a good question, Hydrotherapy basically works by utilising warm water to get your blood vessels to dilate, or open up somewhat. This has the added benefit of boosting circulation and helping to reduce blood pressure as well which is not to be sniffed at! 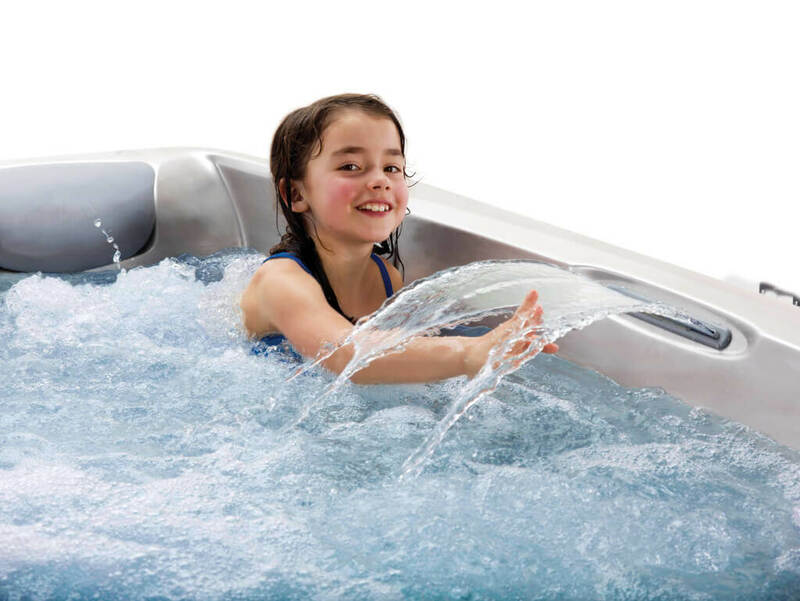 Hot Tubs are particularly effective in the treatment of arthritis and some joint injuries, as the water helps to relieve the pressure from the affected areas of the body. These days, our favourite sporting heroes and athletes will often use hydrotherapy as an integral part of their training routine. We can all take advantage of the benefits that come from regular use of a Hot Tub too! The massaging jets will also further stimulate your body’s blood circulation, gently causing your muscles to loosen up into a more relaxed state. The medical and health conditions that they can potentially help with also includes Arthritis, general Headaches and stress, Tendonitis, Scoliosis, Bursitis and Fibromyalgia to name but a few! A Hot Tub or Spa then can help you to more effectively control, or at least better regulate, a wide variety of different medical conditions. Your Hot Tub looks after you, how do you look after your Hot Tub? First of all, they don’t actually require as much maintenance as you may think! However, you ought to carry some simple tasks to keep your hot tub efficient and in tip top condition. Some models provide an ozone generation system, which can help to kill bacteria, reducing the need for chemicals and some are made using materials that have microbial properties, again helping to keep bacteria at bay. With most models, you will need to add chlorine to the water, because this prevents bacteria from developing in the warm water. You are often best using fast dissolving chlorine in a granular form. All you need to do is sprinkle this product over the water, or if you prefer, dissolve some in warm water first prior to pouring the resultant liquid in. Before jumping in you should allow the Chlorine to dissolve because it can be an irritant. After a couple of hours you can then check the pH (Acidity and Alkali) levels of the warm water – it ought to be comfortably in the range of 7.0 to 7.6 for your own and your families comfort. You should regularly change the water and the filters in the pump too because any clogging can restrict the water flow, leading to reduce efficiency and a less powerful massage effect. If you are not going to be using your Hot Tub for a period of time then make sure that you use a cover to help stop insect and debris from entering the water. 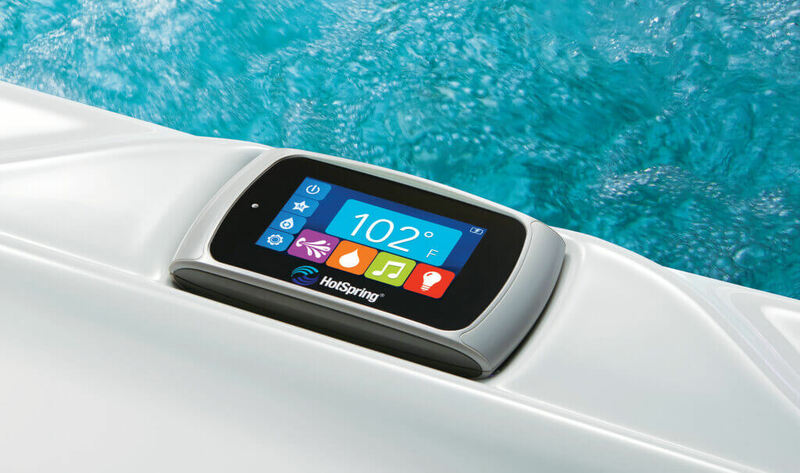 Reputable Hot Tub retailers should be able to provide you with detailed information, education and the correct chemical treatment products to ensure that you get the best from your purchase, today, tomorrow and far into the future! The most commonly used Hot Tub treatments include Chlorine, Bromine and Oxidiser products which are better suited to more sensitive skin. HotSpring World can help with all your ongoing maintenance and chemical water treatment related questions and even thins like finance too, should you require it just ask! Download our Hot Tub Brochure or get in touch today to find out more!